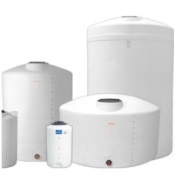 TOTES & TANKS FOR BULK OIL, LUBRICANTS & ANTIFREEZE IN THE LUBRICATION EQUIPMENT MARKET. 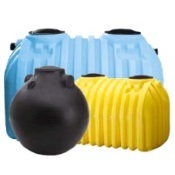 TOTE-A-LUBE ARE STACKABLE POLY TANKS FOR THE STORAGE & DISPENSING OF CLASS IIIB FLUIDS & CHEMICALS. Tote-A-Lube is a low cost investment that pays high dividends in time saved, efficient use of space and a cleaner, safer work environment. Tote-A-Lube is a unique stackable tank system that makes your storage and dispensing of bulk lubricants and other fluids neat, clean and convenient; contributing to an overall better and safer working environment for you and your employees. 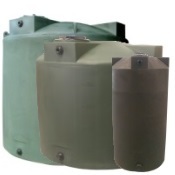 Available in 35, 70, 120, 180, 240 gallon sizes Tote-A-Lube stackable poly tanks are industrial strength and with over 60,000 sold internationally are a proven winner. Tote-A-Lube is your NEW alternative to the mess and hassles from storage and dispensing fluids from 30 or 55 gallon drums. Uses include: industrial fluids, lubricants, engine and specialty oil, synthetics, anti-freeze, transmission fluid, hydraulic fluids, chemicals, cutting fluids, inks, dyes, oils, syrups, solutions, soaps, water, process treatments, herbicides, pesticides, food grade applications, degreasers, adhesives and a 1000 other fluid products sold in drums today or bulk delivered. A Tote-A-Lube stackable tote system is the solution to your fluid handling nightmares. 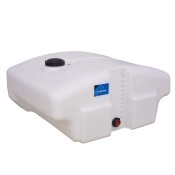 Tote-A-Lube tanks are made of high density UL rated food grade polyethylene. Their unique corrugated V-groove side walls are engineered for superior strength. 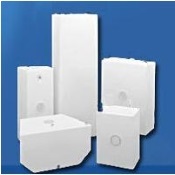 6 1/2 inch cut out areas in bottom corner of stationary tanks allow easy filling when stacked. 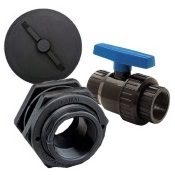 See-through plastic allows you to see fluid level at all times, eliminating product run-outs and down-time. No guessing on volumes. All tanks have gauges embedded on tank. Easy to set up and user friendly. 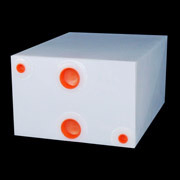 Stackable tanks have unique top outer grooves that interlock with the bottom inner groves to secure tanks in place when stacked. When used in conjunction with Tote-A-Lube containment vessel, provides compliance to government secondary containment regulations.